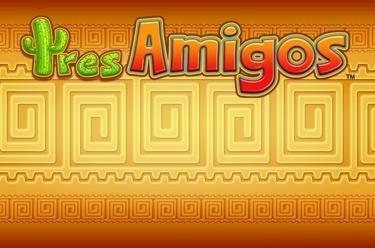 Play Tres Amigos™ online for free now! In the slot Tres Amigos™ you have a fiesta with 3 jolly mexicans on 5 reels with up to 20 win lines. The donkey symbol grants you the biggest winnings. 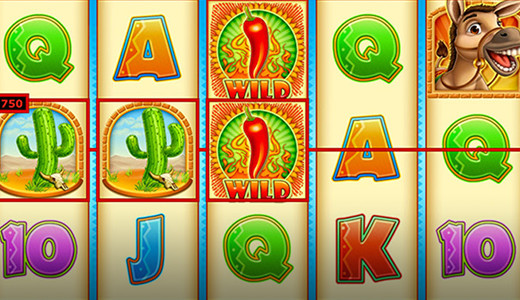 Your aim in Tres Amigos™ is to line up 5 identical winning symbols on one of the 20 win lines running from left to right. The chilli pepper adds some spice to your Twist winnings: As a Wild symbol it substitutes for all symbols except for Scatter and increases your winning chances. The Scatter symbol, the sombrero, triggers 10 free games if it appears 3, 4 or 5 times in any position on the first, third and fifth reel. Mexicans on reel 1: you receive 2 more free games. Mexicans on reel 3: You receive a bonus win. Mexicans on reel 5: Your multiplier is increased by one. You fancy siesta, fiesta and sombreros? Maybe even Tequila shots with salt and lemon? In this case, the 3 jolly mexicans in Tres Amigos™ can't wait to meet you! Over tacos with tabasco and a few glasses of spirits you shoot down many a bonus from the reels. Get into a cheerful mood with the trio and fill your player account with red hot Twists!